12 Funny Craigslist Ads You Won't Believe! Home / Tips and Tricks / 12 Funny Craigslist Ads You Won’t Believe! 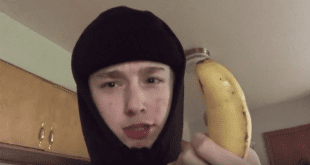 12 Funny Craigslist Ads You Won’t Believe! The internet can be a crazy place, and that includes Craigslist. Countless things are sold on the site from furniture, to food. Over the years, the site has established the reputation of its users selling weird items or having funny listings to get attention. 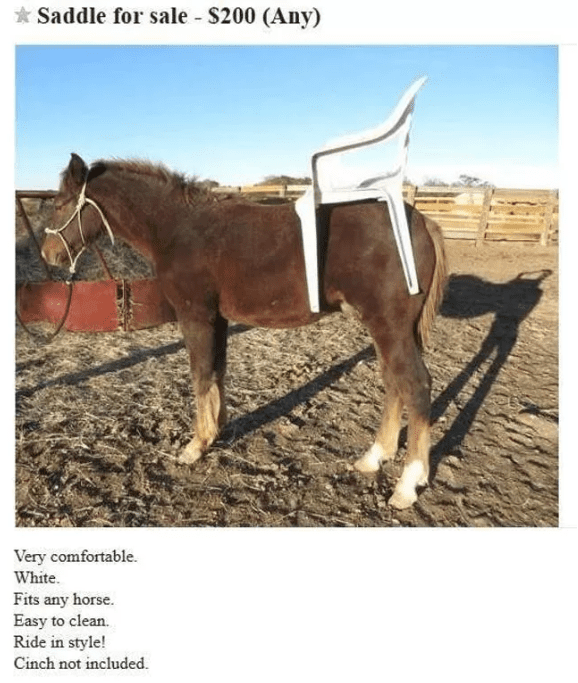 Below, we’ve listed 12 funny Craigslist ads you won’t believe! I’ve never seen a saddle like that before! Oh wait, it’s just a white chair. Did the person listing this really think they were going to fool people? Two for the price for one! 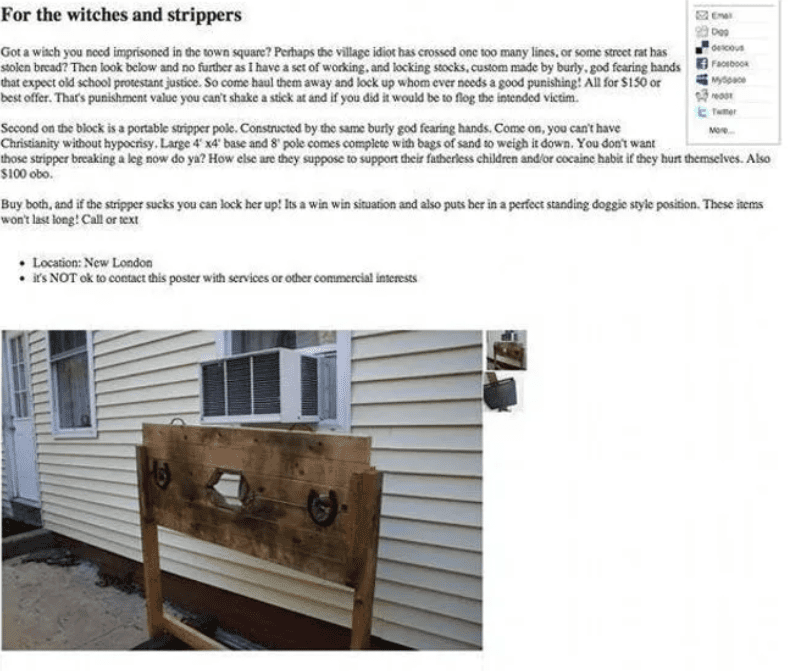 This funny Craigslist ad is offering stocks (a form of imprisonment from the 1500s to mid-1700s) and a stripper pole. What was this person thinking to offer both items in one ad? 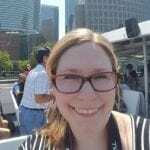 Ever had the desire to feel like you were a hamster going round-and-round on a wheel? 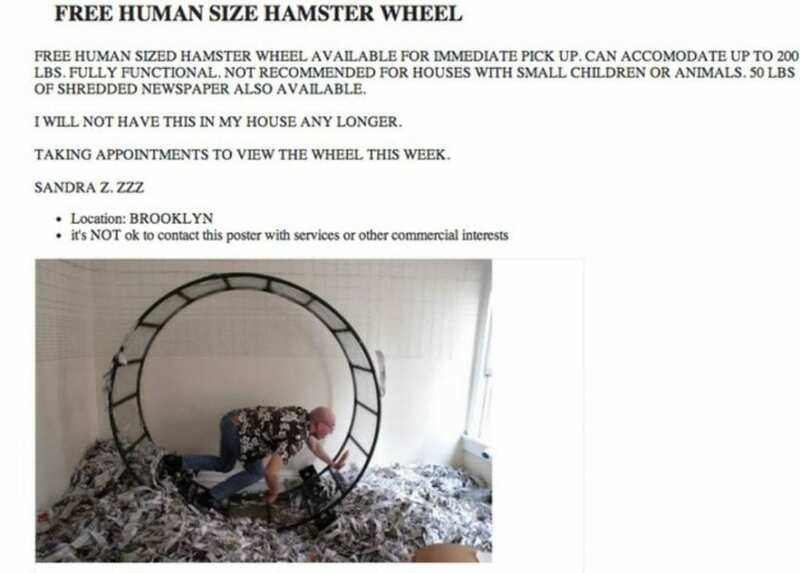 Well, this Craigslist ad was offering a human-sized hamster wheel for FREE! It’s funny how desperate the person is to get rid of it. 4. Did You Say Pancakes? Honestly, anyone will do anything in exchange for food. 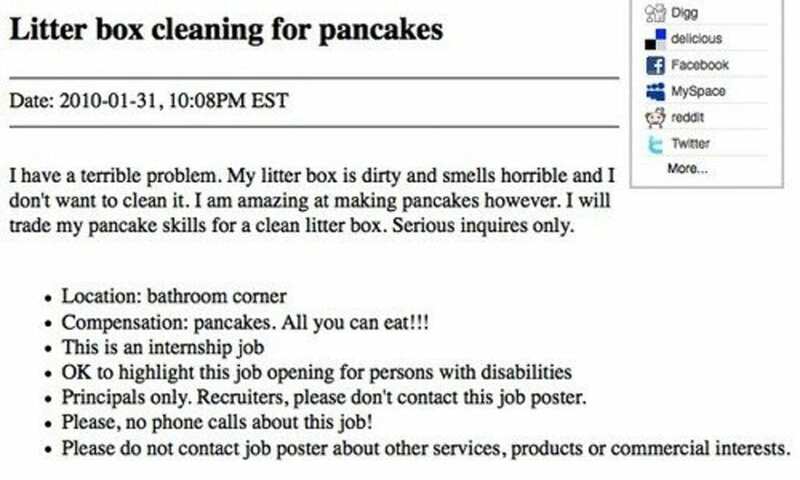 This hilarious and ingenious ad asks if anyone would like to clean their cat litter in exchange for pancakes. If this person can make pancakes, they certainly can clean their own cat little or just buy a new, clean one. This is a perfect example of someone who was clearly joking. 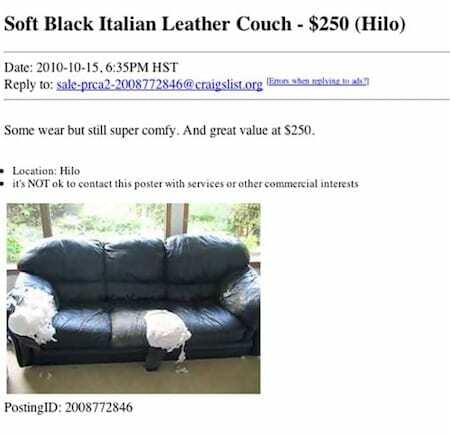 The ad says “some wear”, when clearly the stuffing is coming out of the couch. With that being said, this couch is absolutely not worth $250. The fact that this ad is a clear joke makes it one of the funniest Craigslist ads. Who in their right mind would sell, or buy belly button lint? After reading that ad, I just want to sanitize my hands 20 times. 7. Do You Know How To Cut Cake? 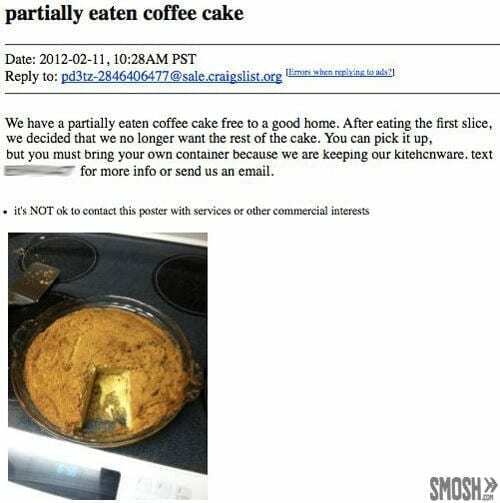 Now, the offer of eaten coffee cake isn’t the funniest part of this ad. It’s the fact that the person clearly cut the cake incorrectly. How could this person not know how to cut a slice of cake? 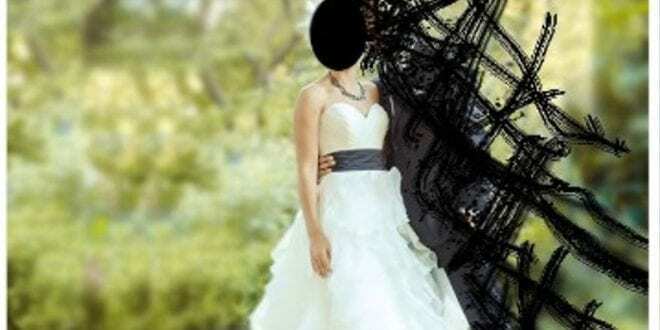 This wife tells the whole story of her cheating husband in this funny Craigslist ad. 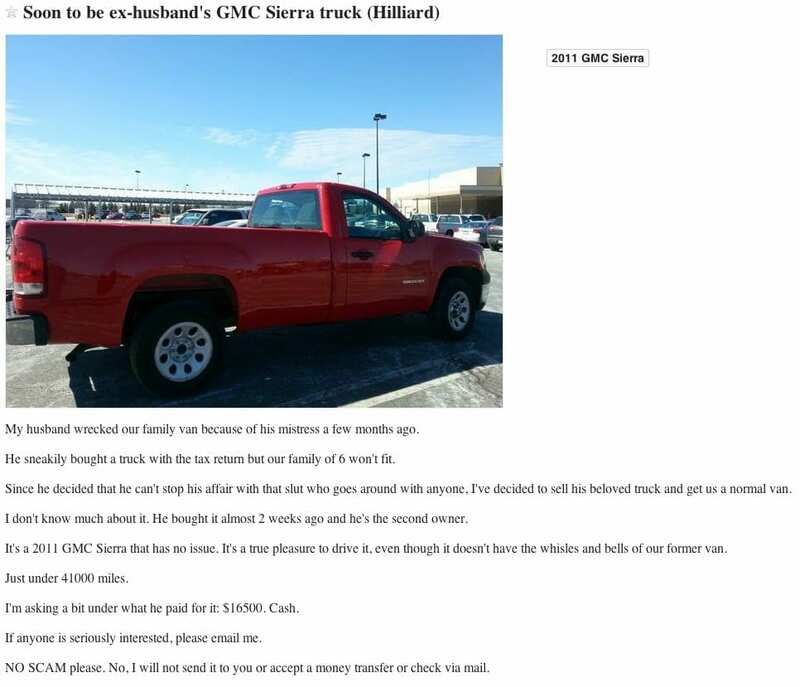 Because her husband will not stop fooling around with his mistress, she’s selling his truck that can’t accommodate her family. 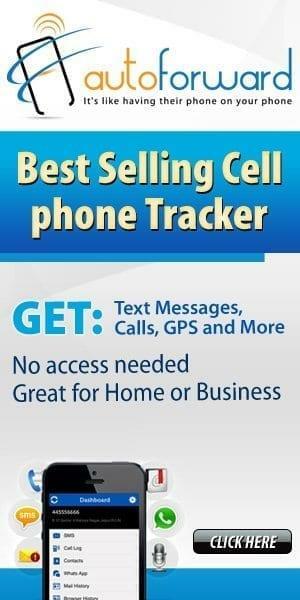 This is a great way to get back at a husband who’s cheating. 9. Who’s Going To Tell Her? 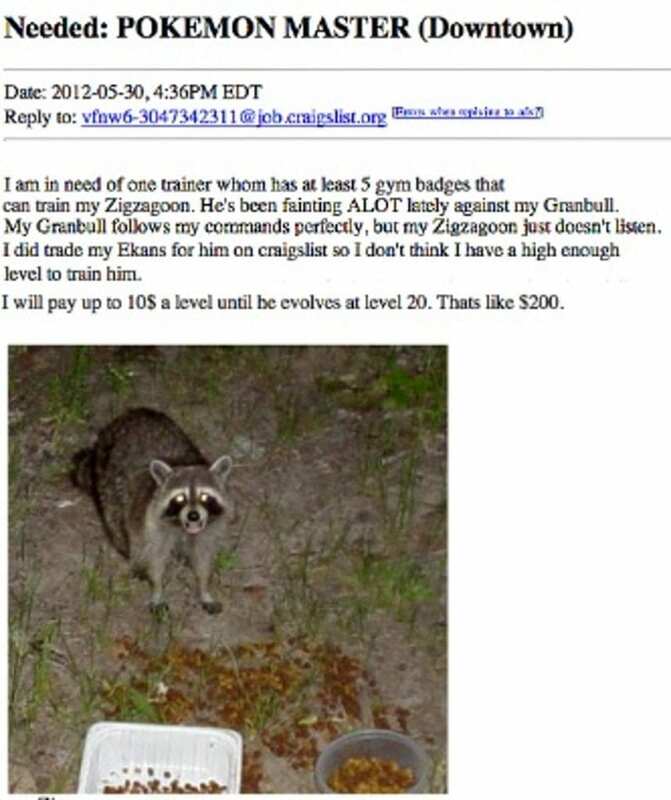 This has to be one of the funniest Craiglist ads I came across. This woman clearly doesn’t know what this “bracelet” actually is. Plus, it’s hilarious that her son is too afraid to tell her. The situation gets hilariously worse when she lists all of the things it could be. This ad is actually more awesome than funny. 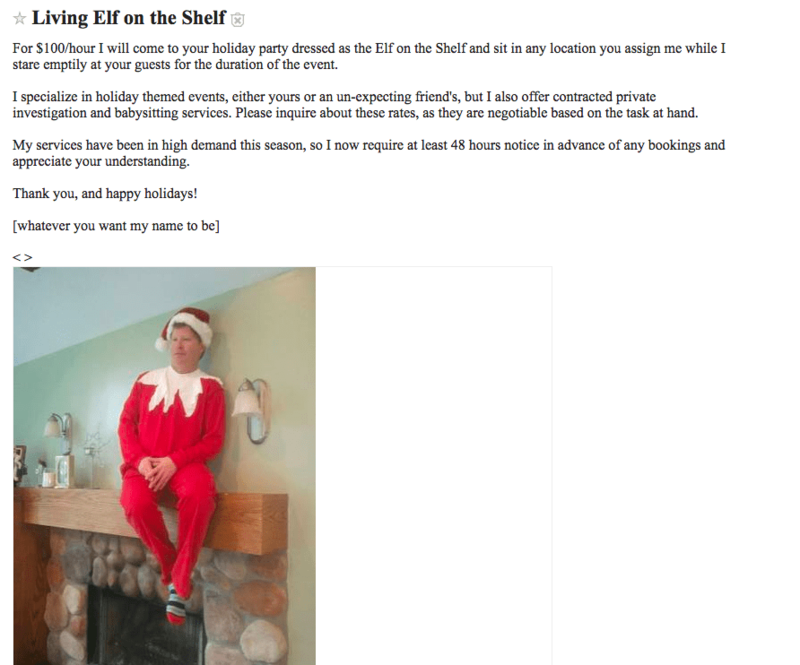 Having a real Elf on the Shelf would be great for any holiday party, or as a hilarious surprise for a friend. If you love Pokémon, then you’ll find this ad funny. 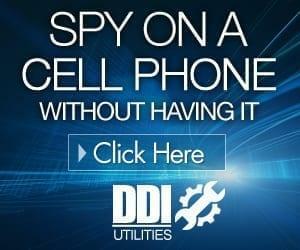 I appreciate all of the detail in the ad, especially since it’s clearly a joke. 12. Can You Say, Hard Feelings Much? 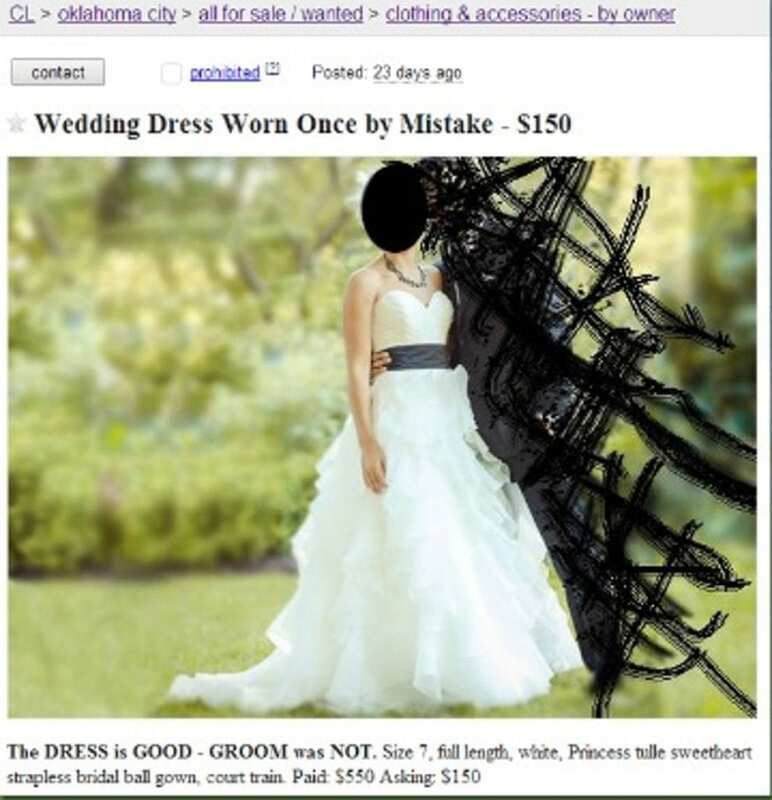 Clearly, this woman is done with her ex and her wedding dress. In her defense, the best way to get over a huge breakup is to get rid of things that remind you of the other person. 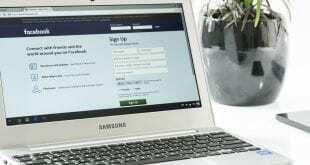 What do you think of these funny Craigslist ads? Remember, whenever you’re looking to purchase something on Craigslist, make sure to do a background search on the seller. Previous Learn How To Save Your Marriage With These 8 Tips For Building Trust!